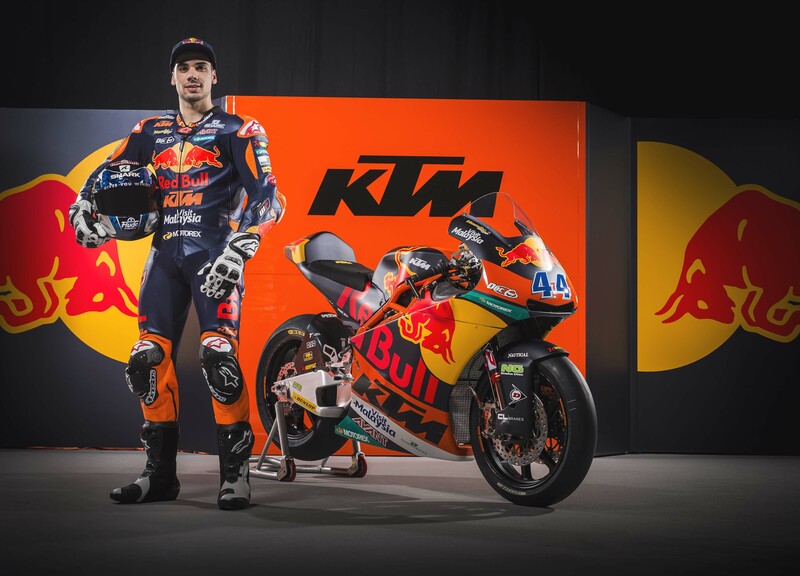 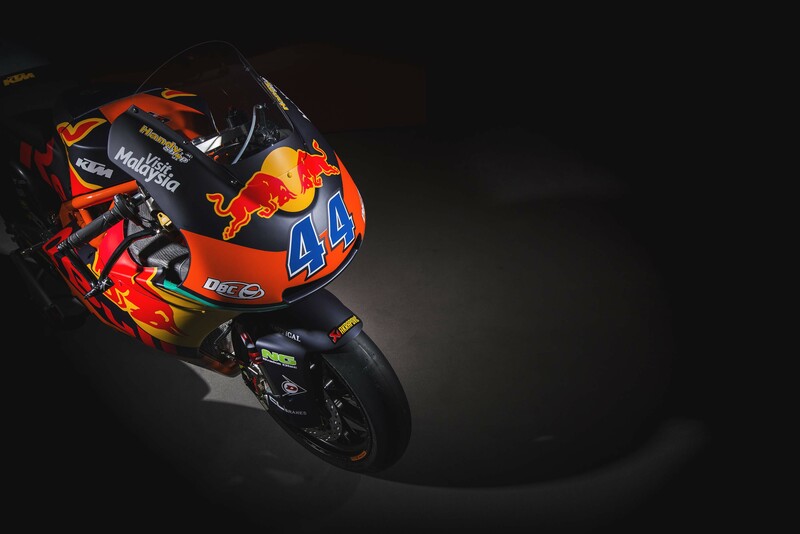 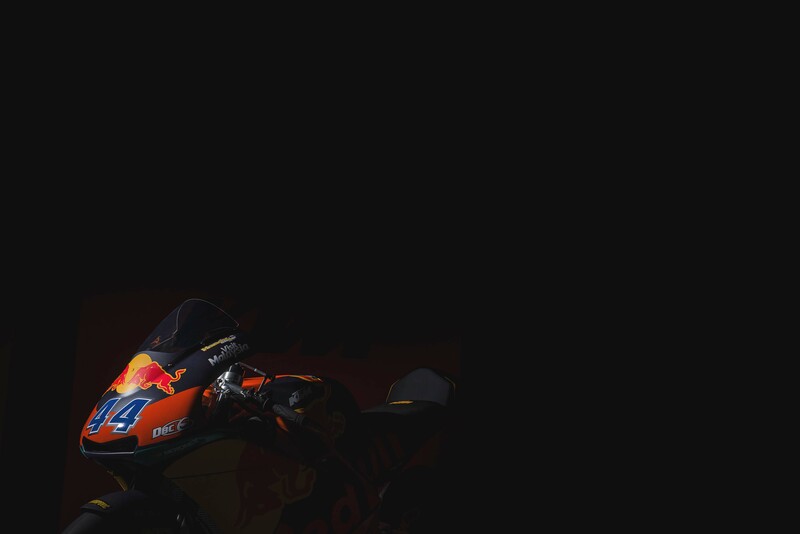 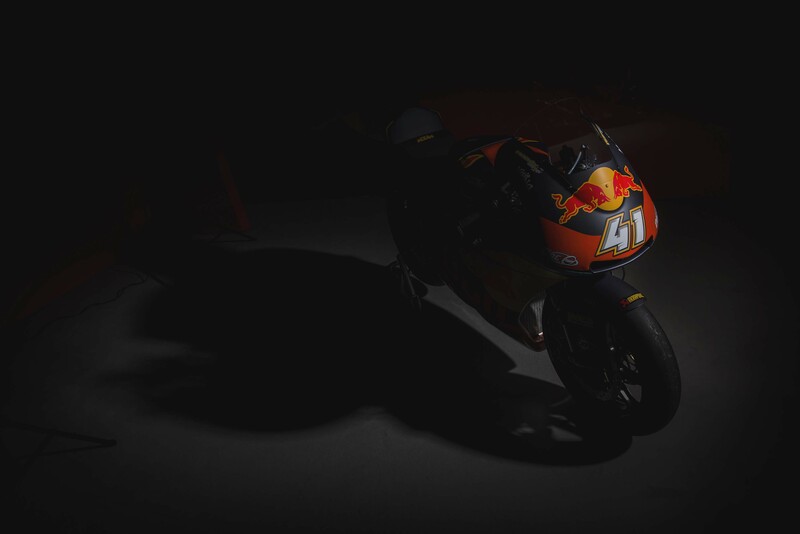 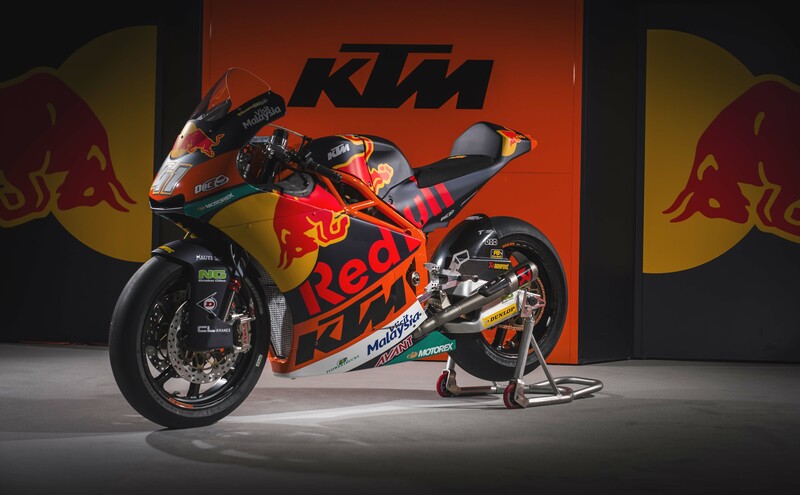 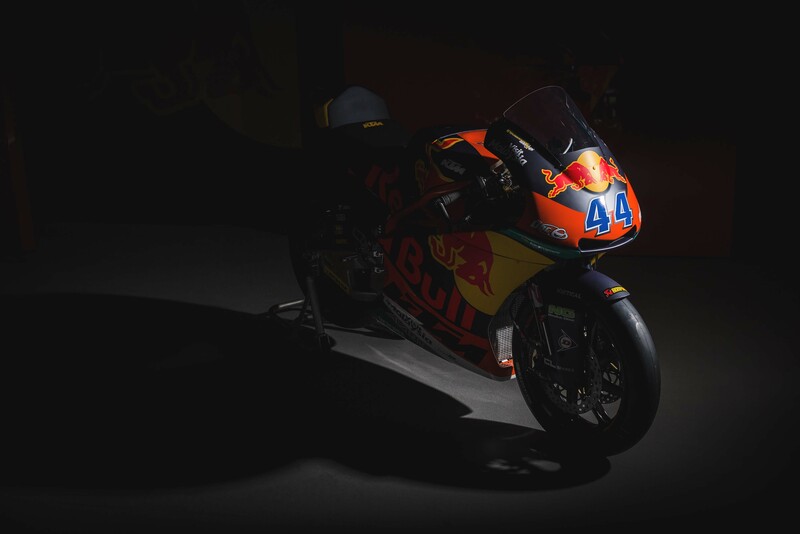 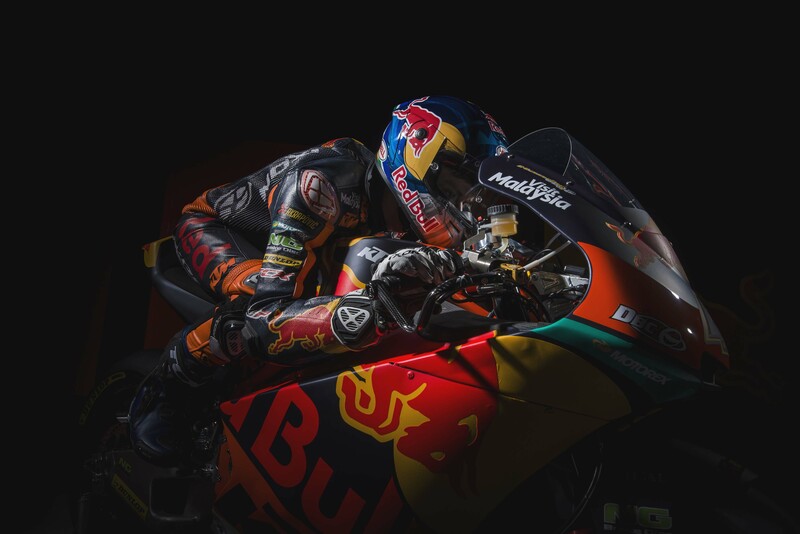 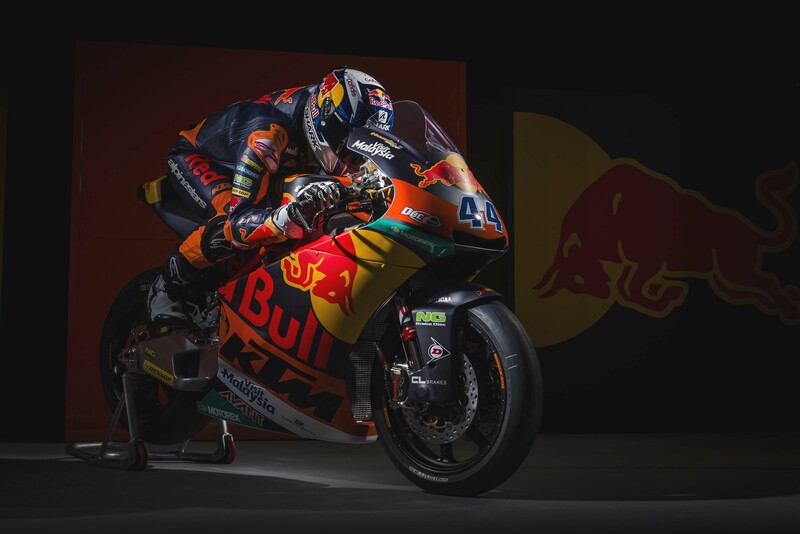 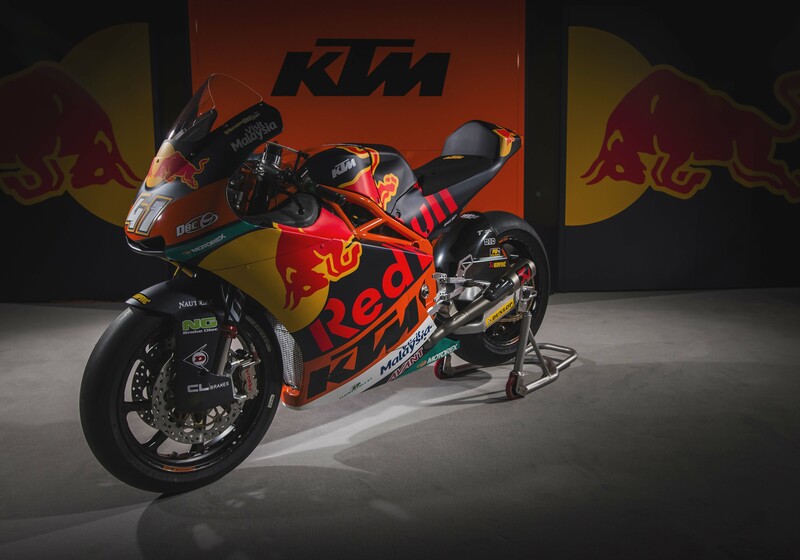 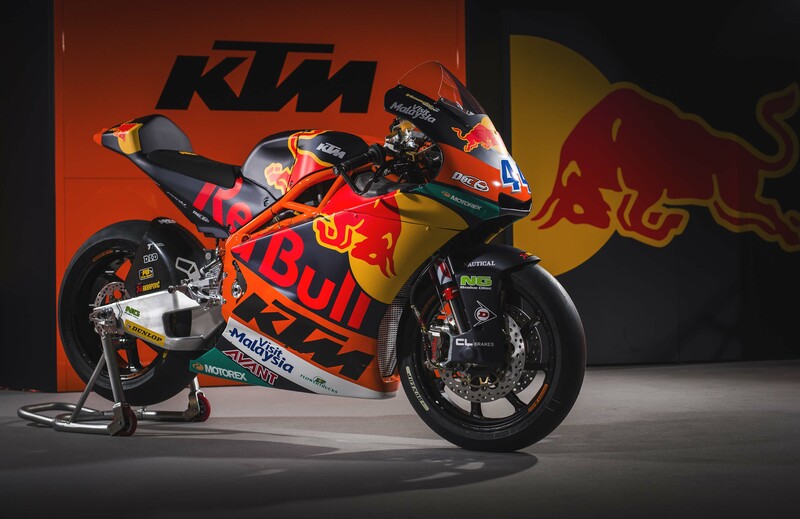 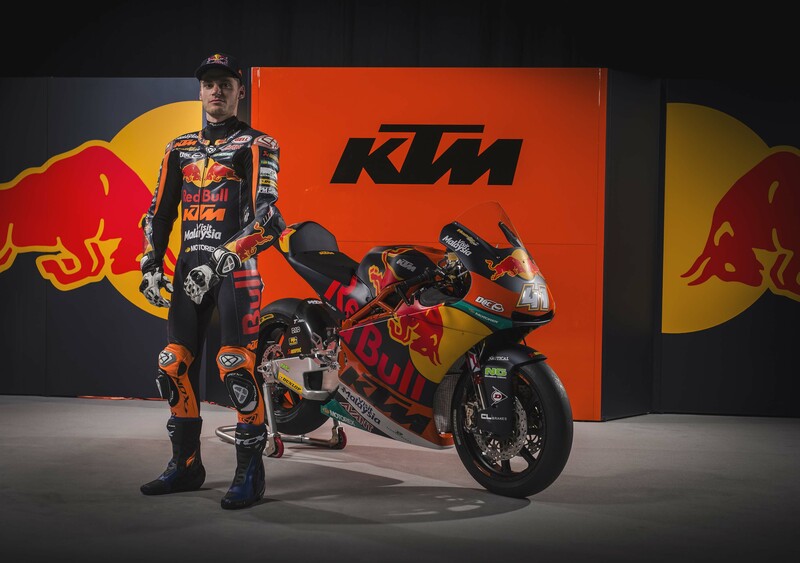 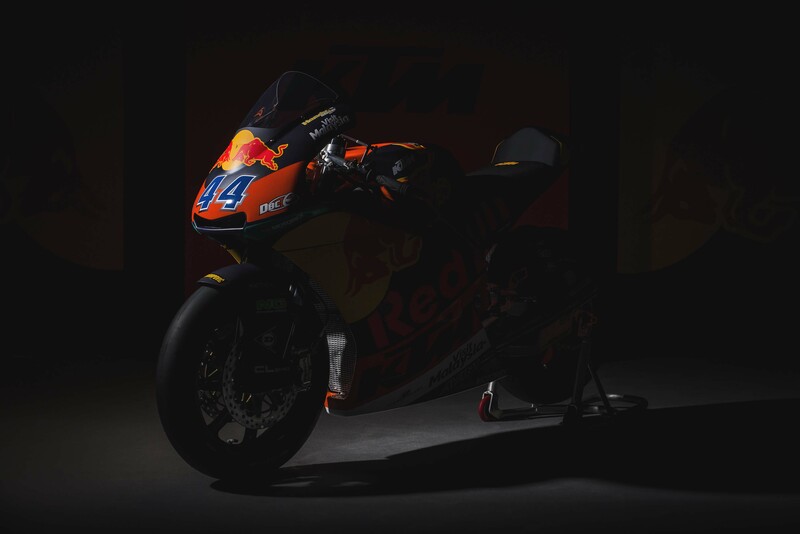 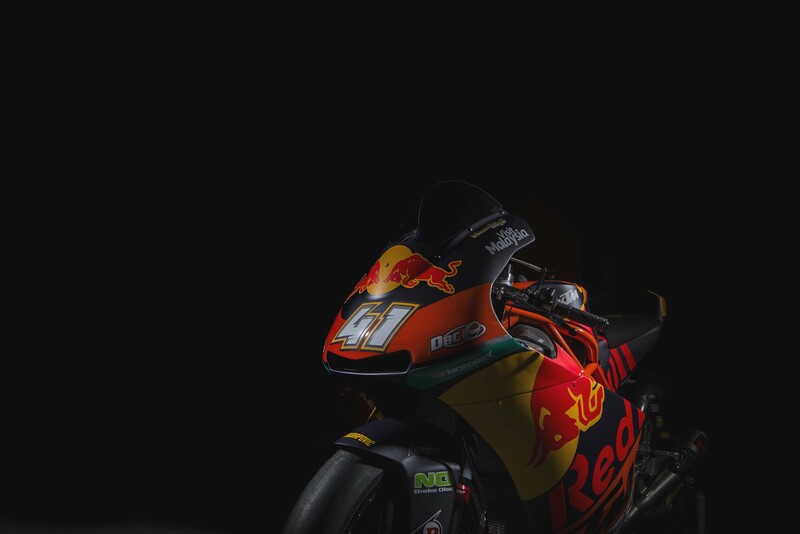 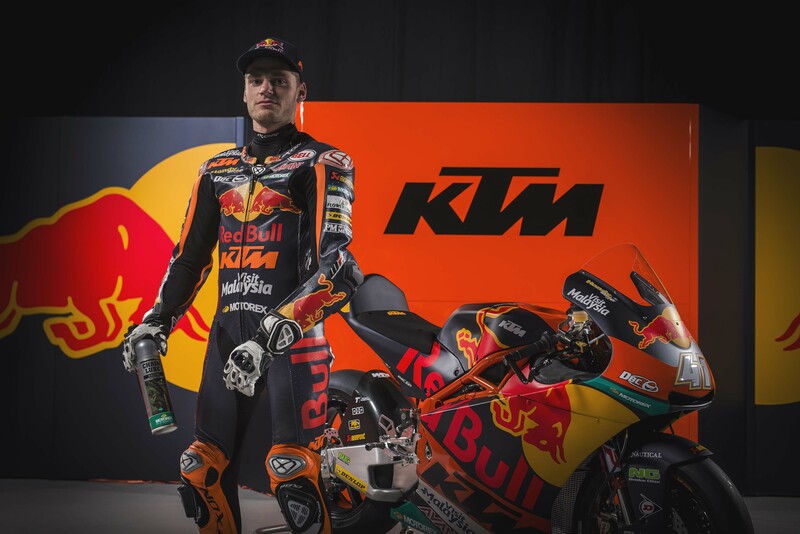 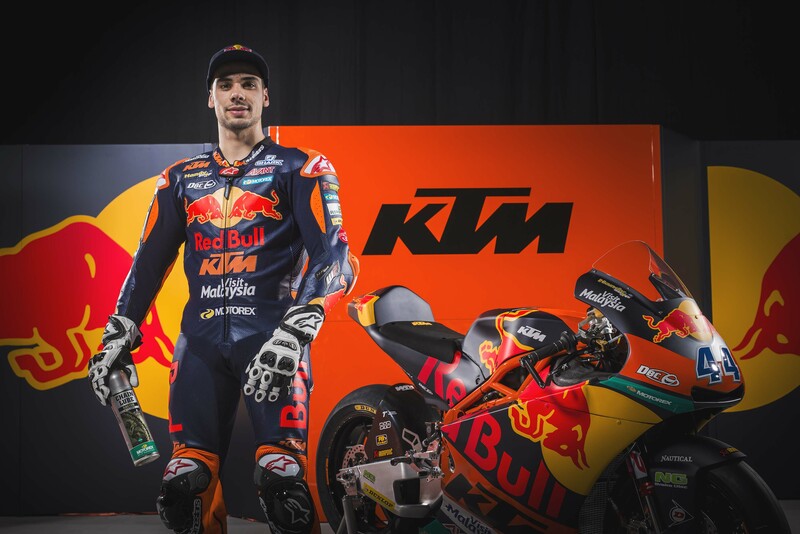 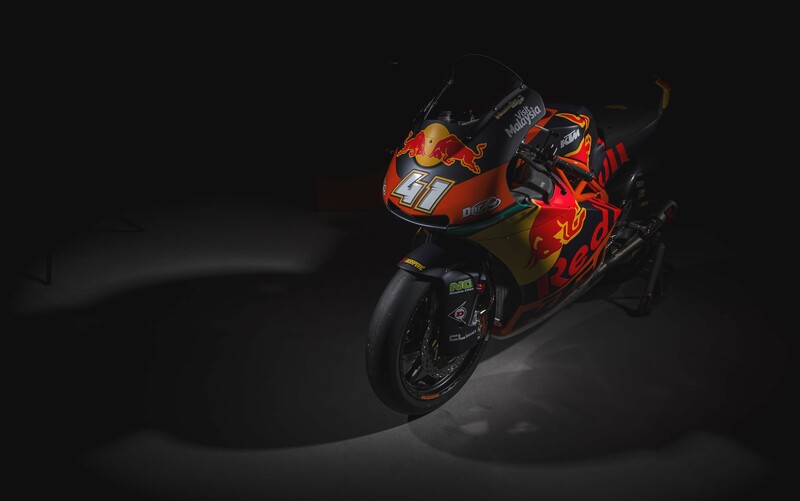 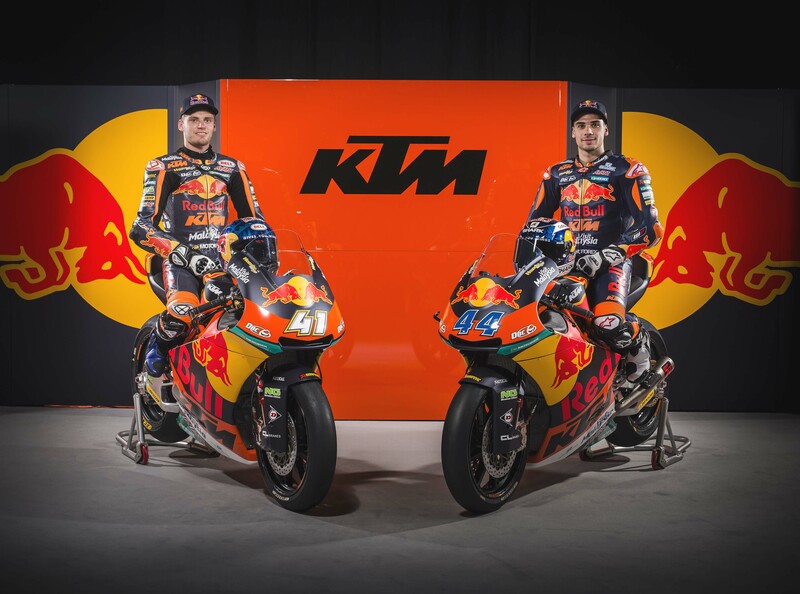 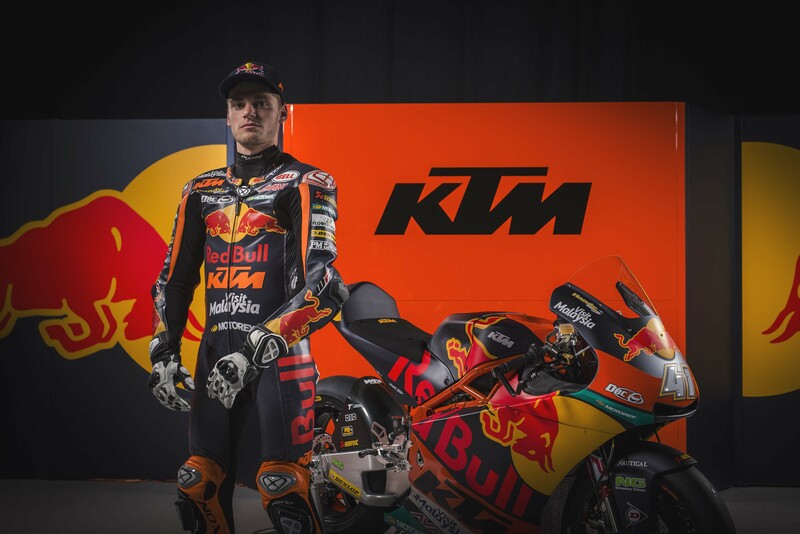 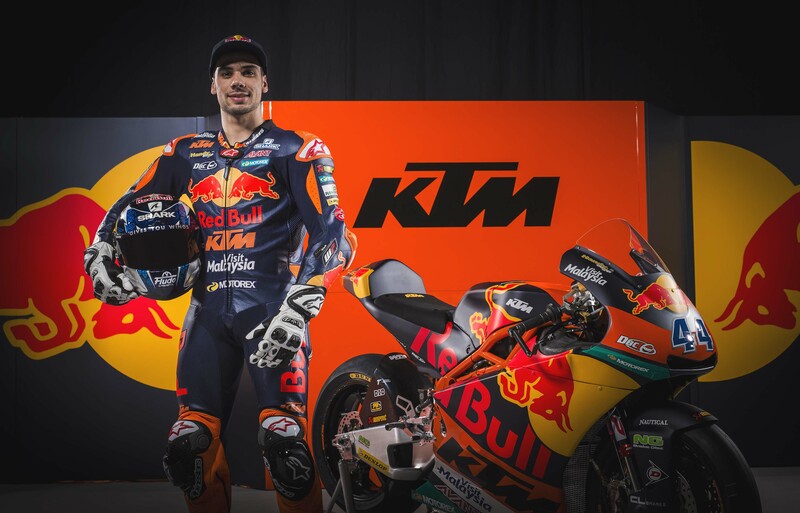 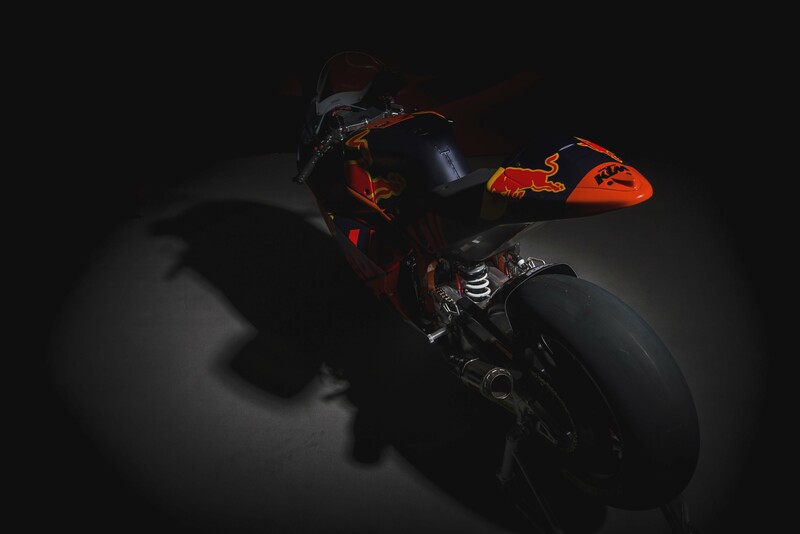 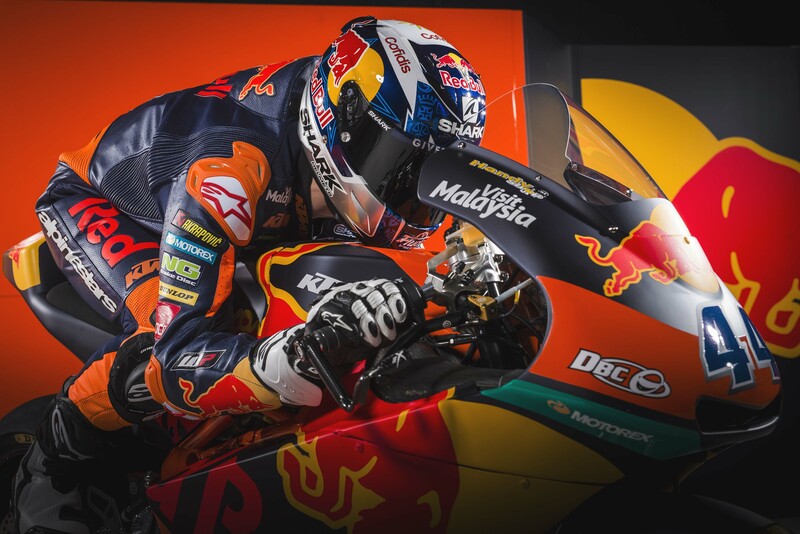 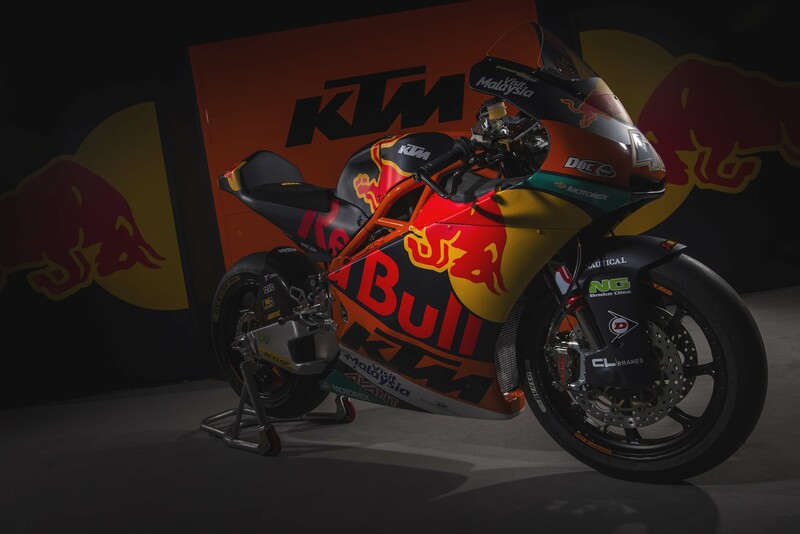 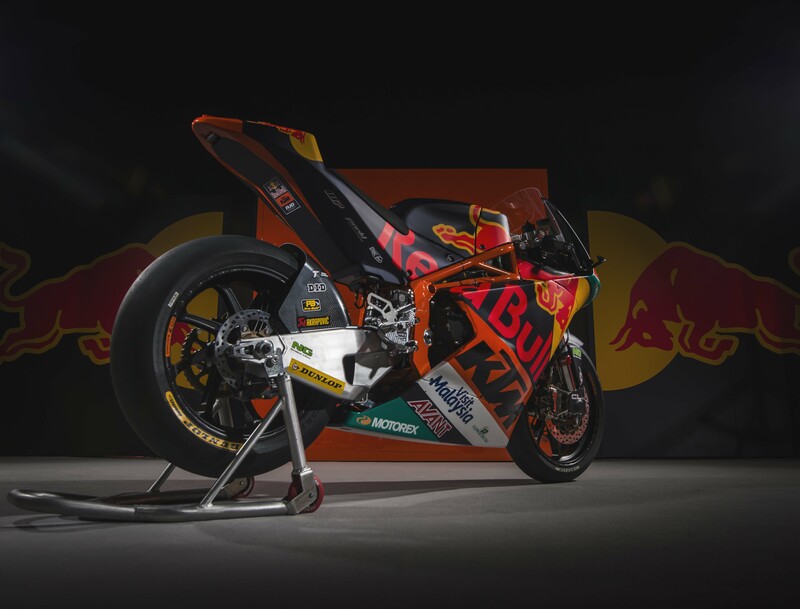 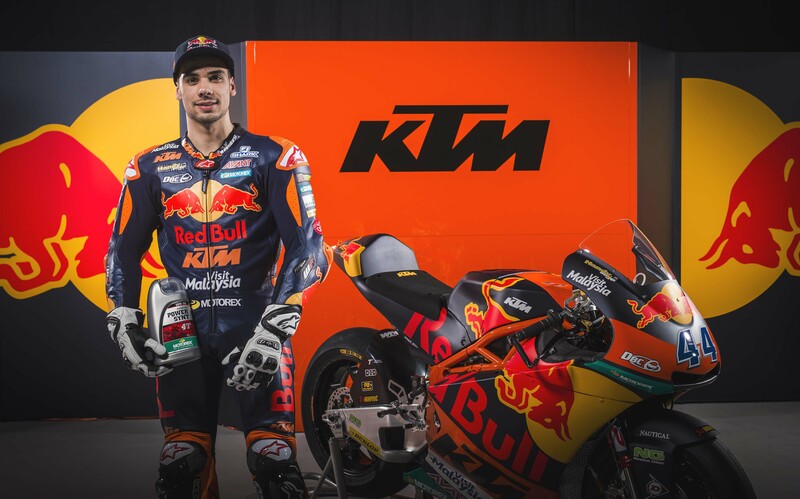 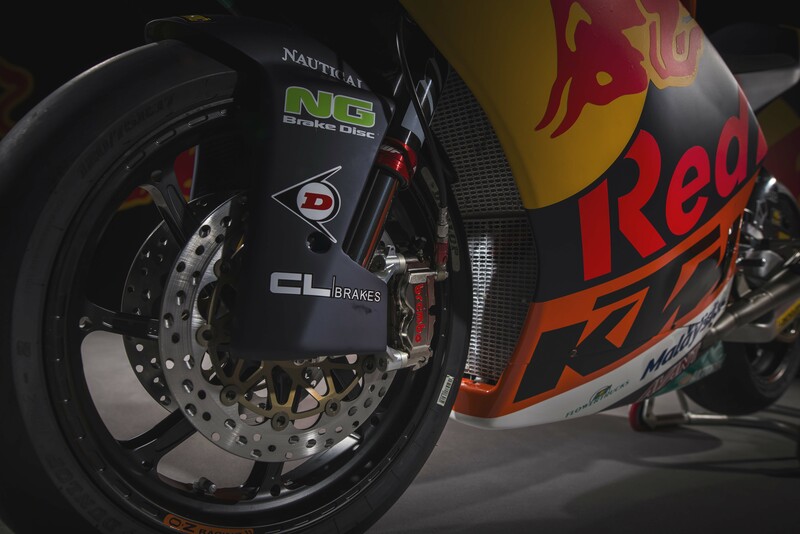 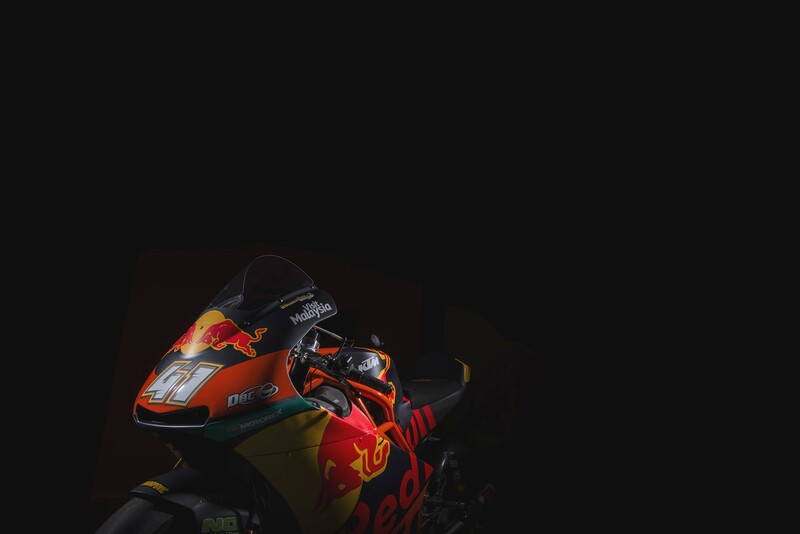 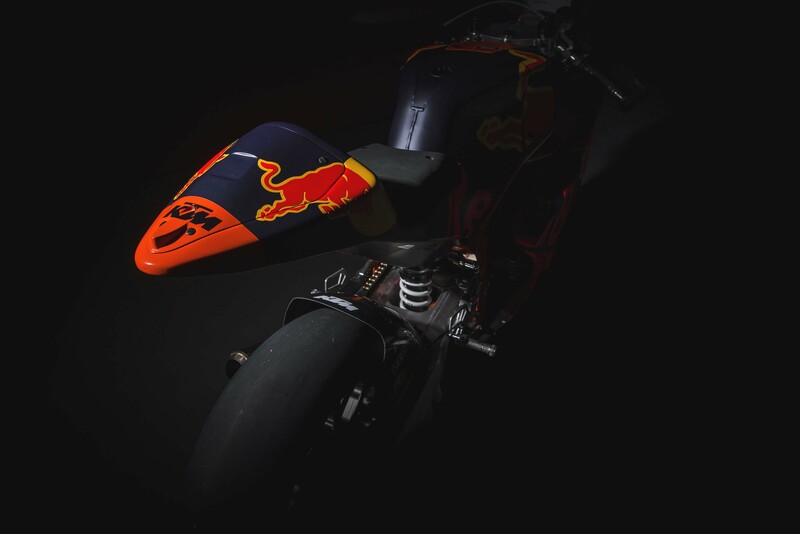 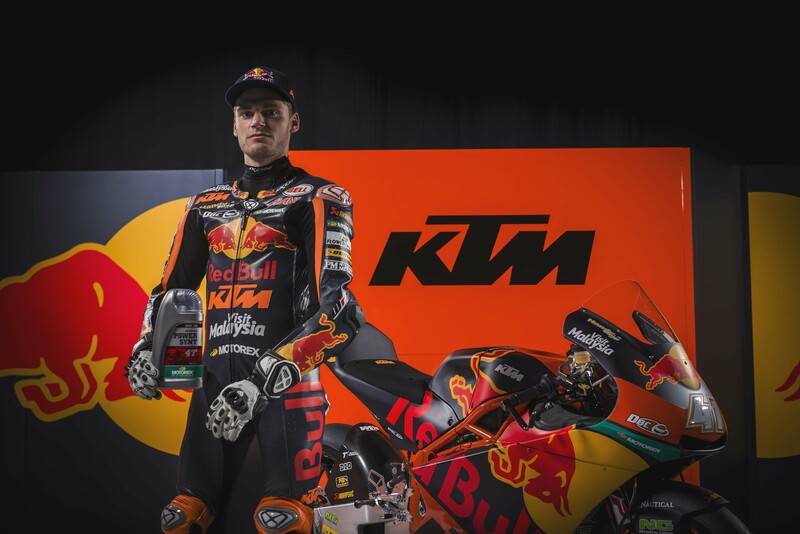 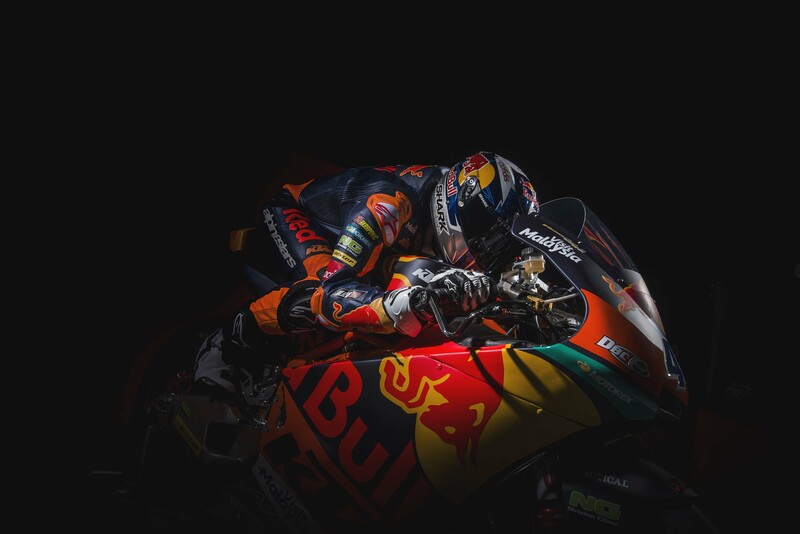 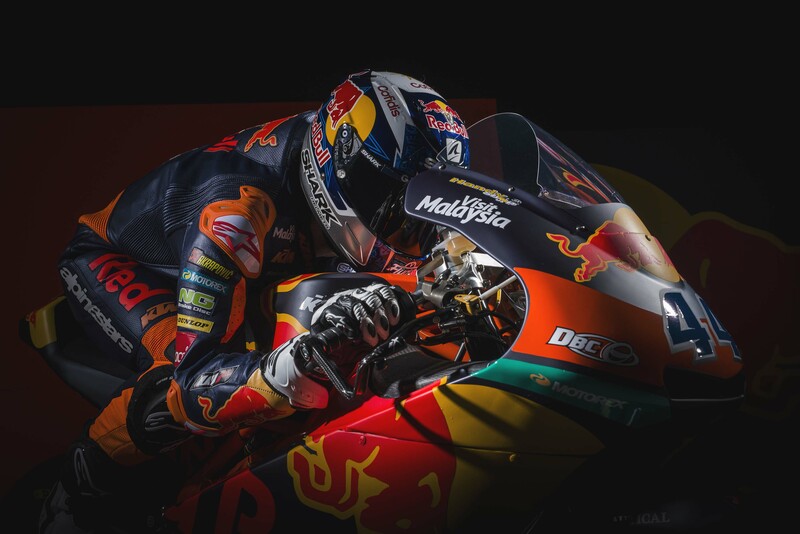 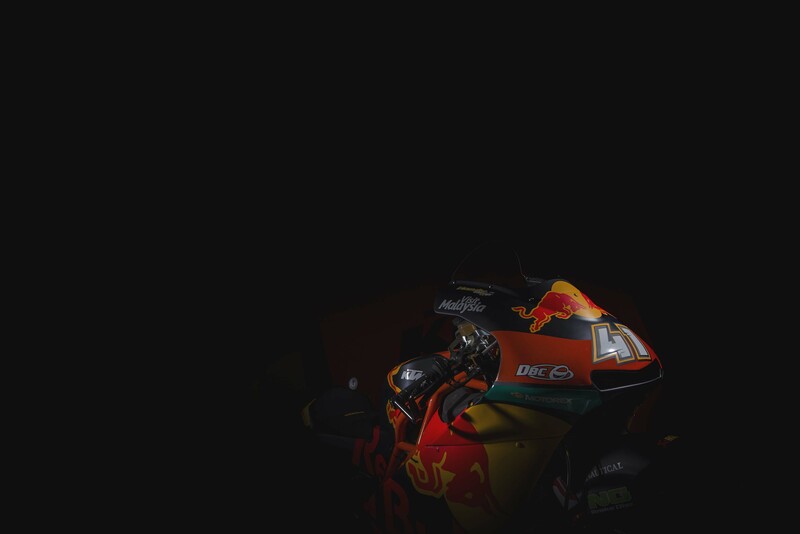 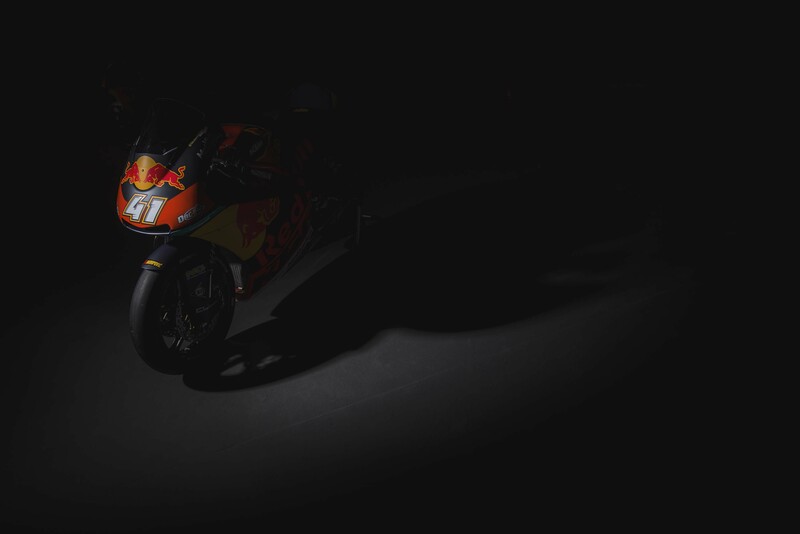 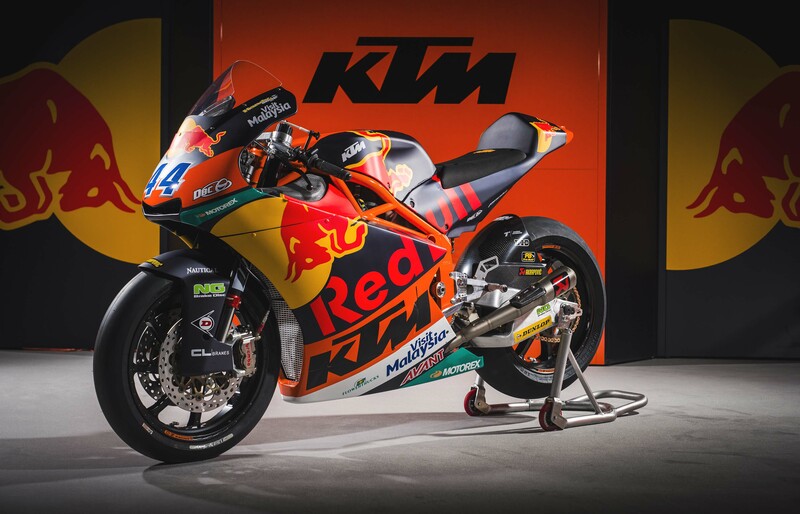 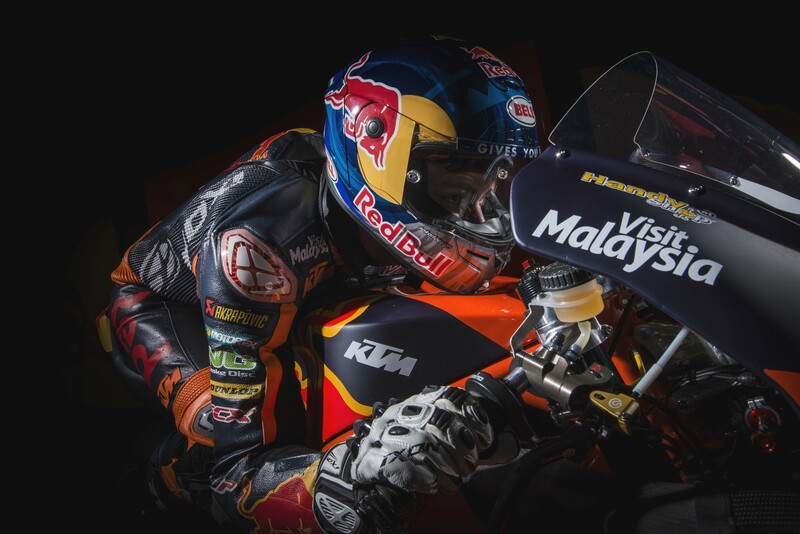 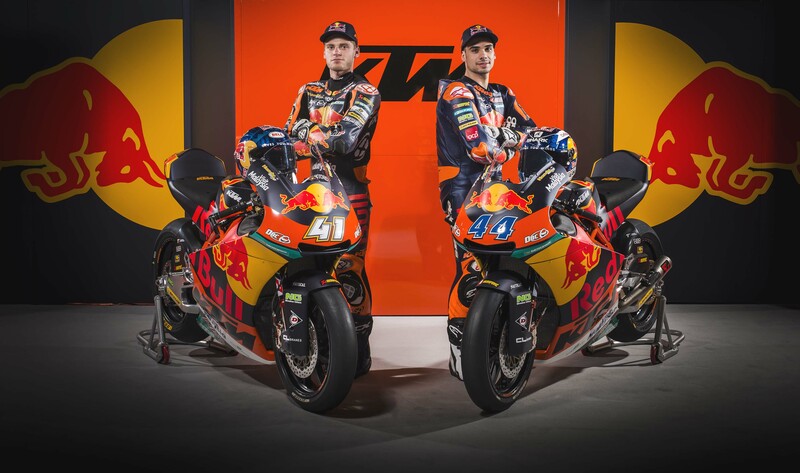 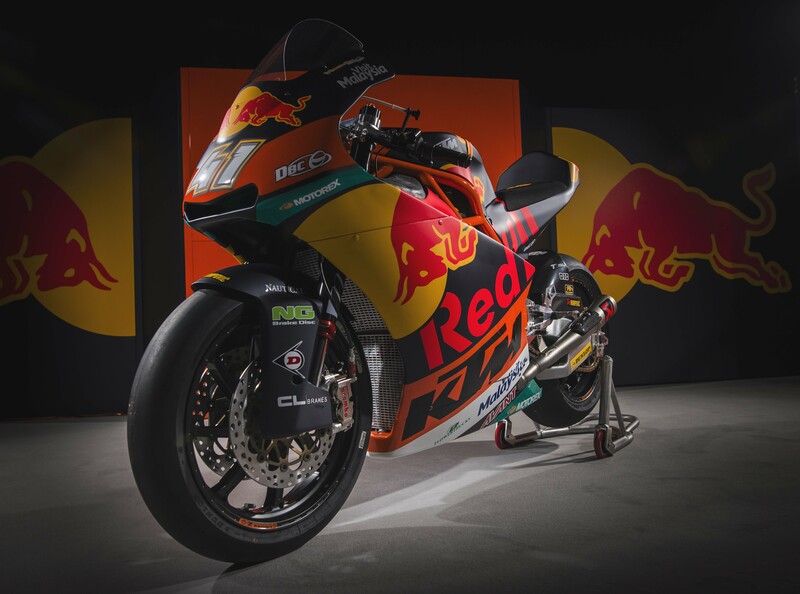 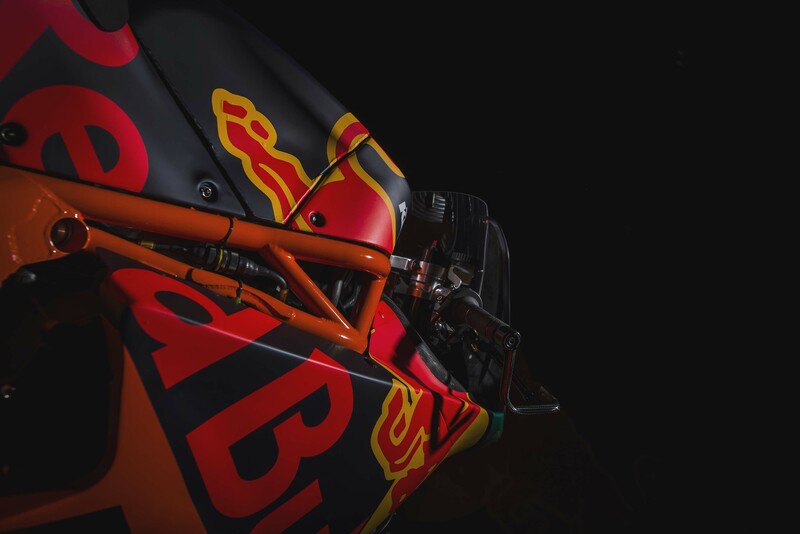 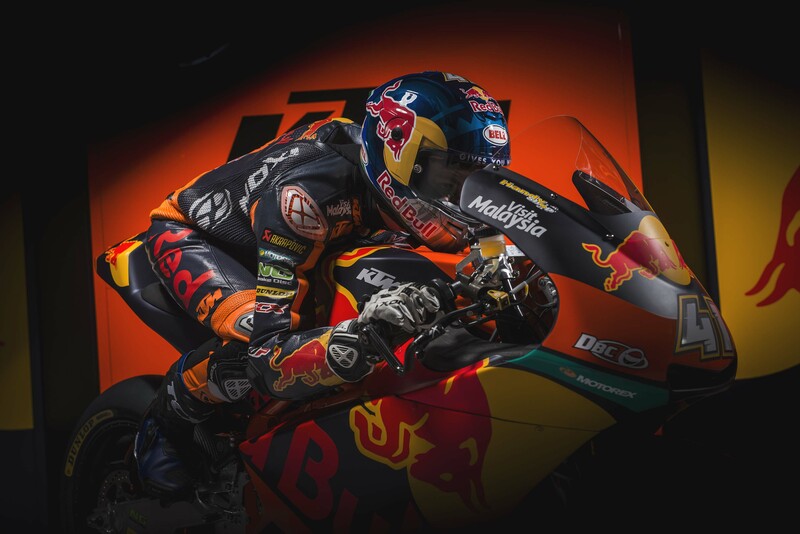 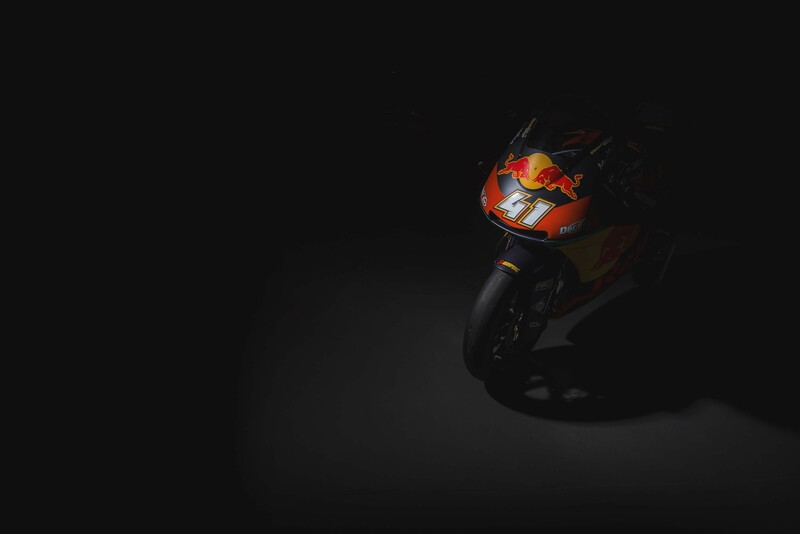 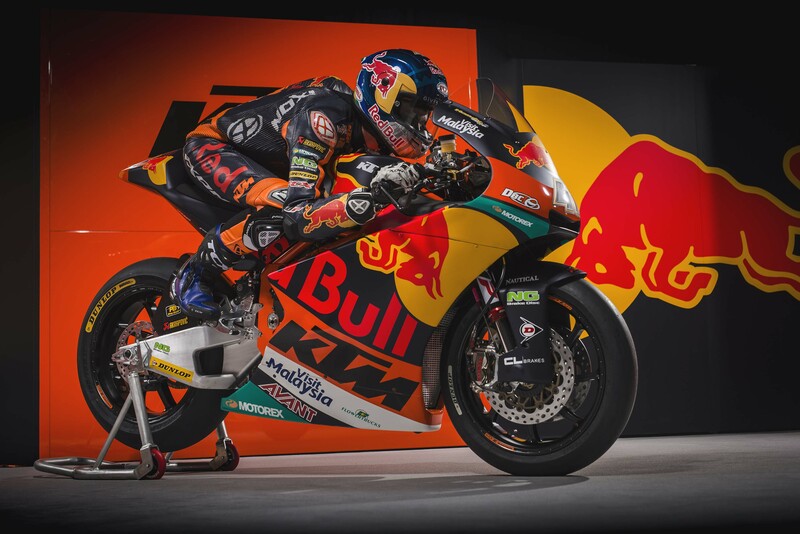 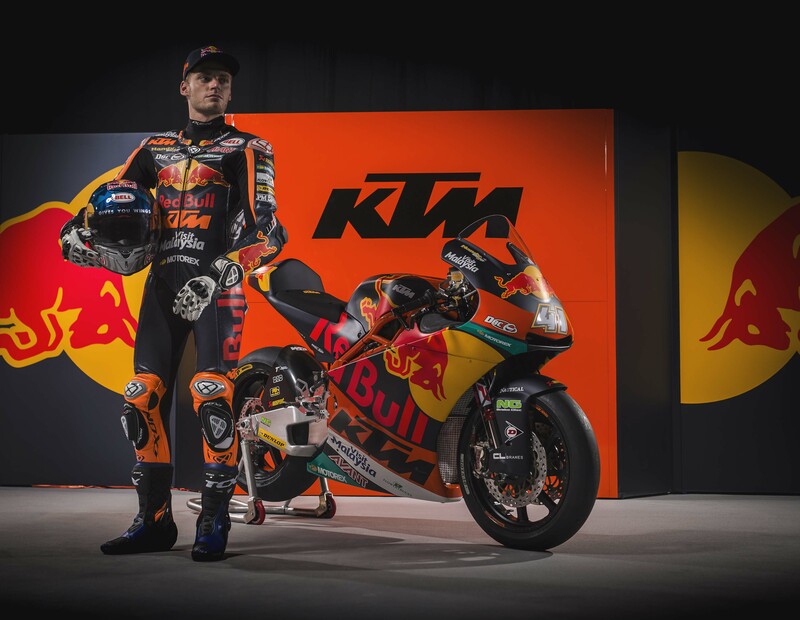 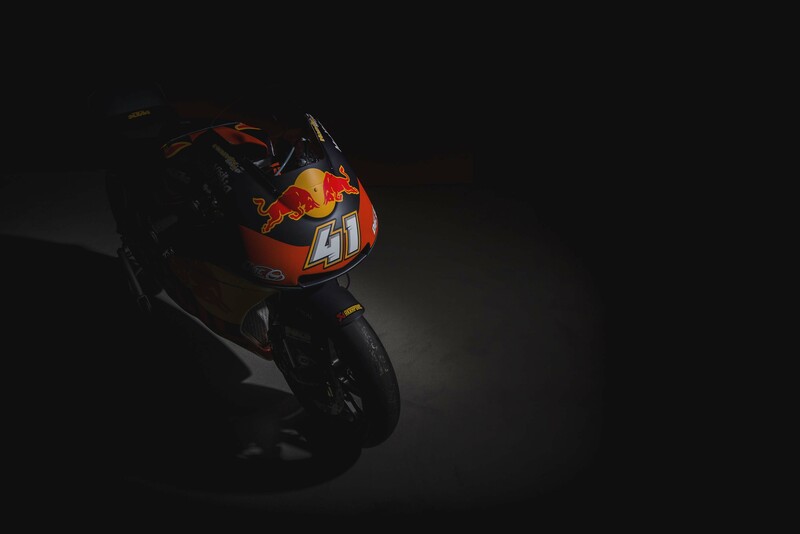 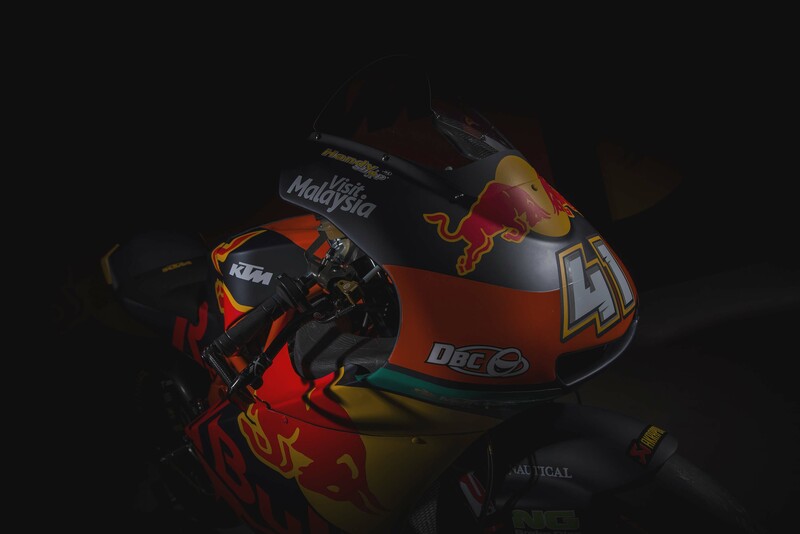 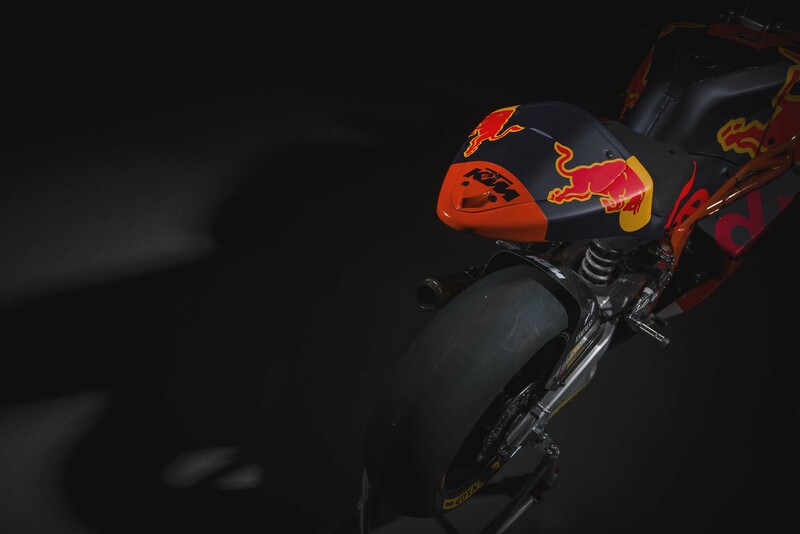 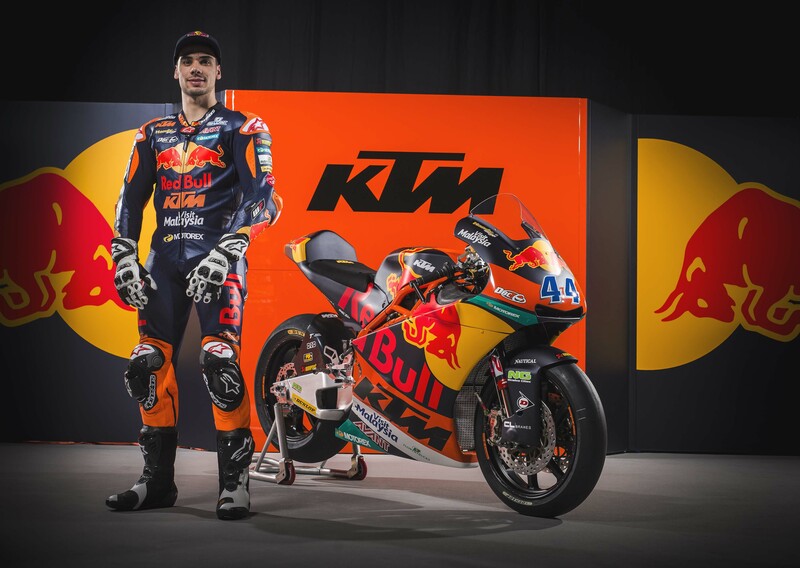 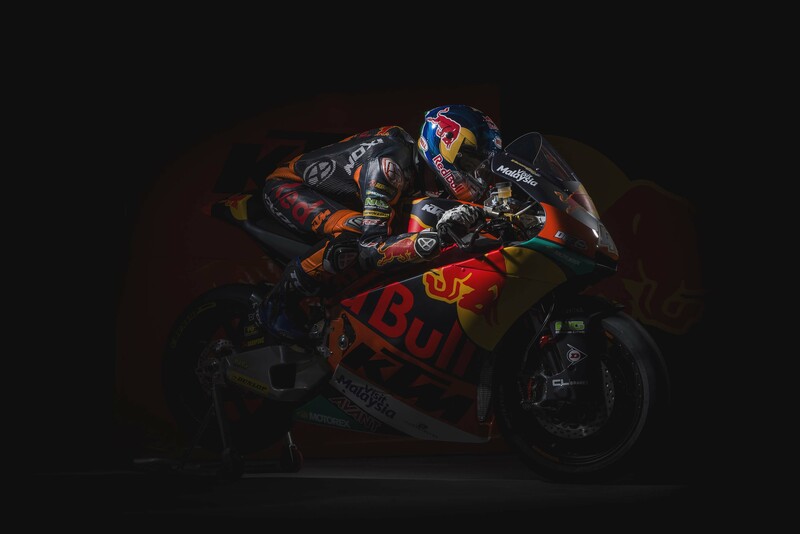 If you couldn’t get enough moody goodness from KTM’s photoshoot with their MotoGP race bike, the KTM RC16, here is a look at the Austrian brand’s Moto2 machine that Brad Binder and Miguel Oliveira will race in the 2017 season. 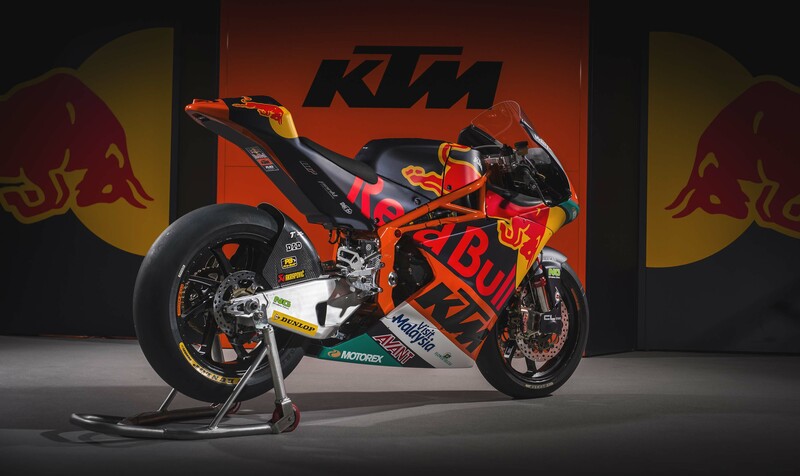 KTM will continue to use its steel-tube chassis design in Moto2, with of course a mildly tuned Honda CBR600RR engine powering the race bike, per class rules. 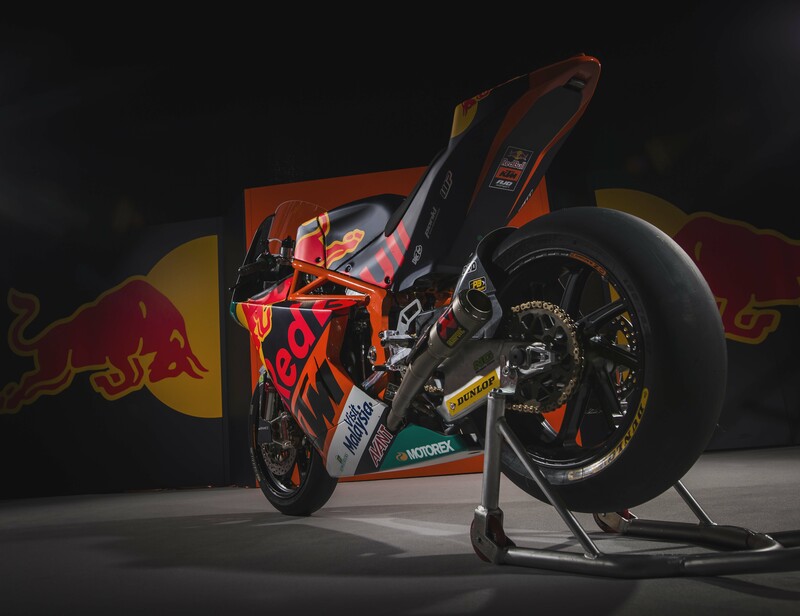 KTM CEO Stefan Pierer had some choice words for Honda at the bike’s debut, chastising the Japanese brand for its time penalties in the Dakar Rally (for an illegal fuel stop) and for the manufacturer’s alleged cheating in the Moto3 race class, where its competes heavily with KTM’s own offerings. 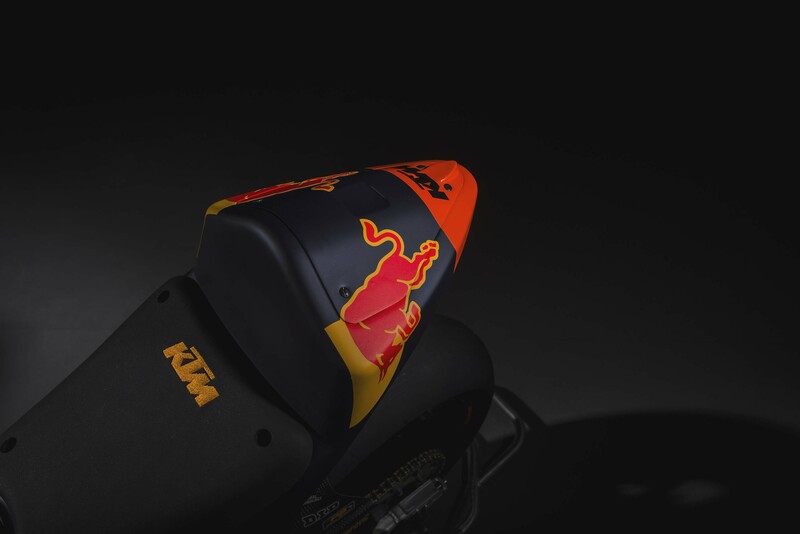 Pierer is said to be much happier with Moto2’s switch to a Triumph supplied power plant, which will begin with the 2019 season and be based off the three-cylinder engine found in the new Triumph Street Triple 765. 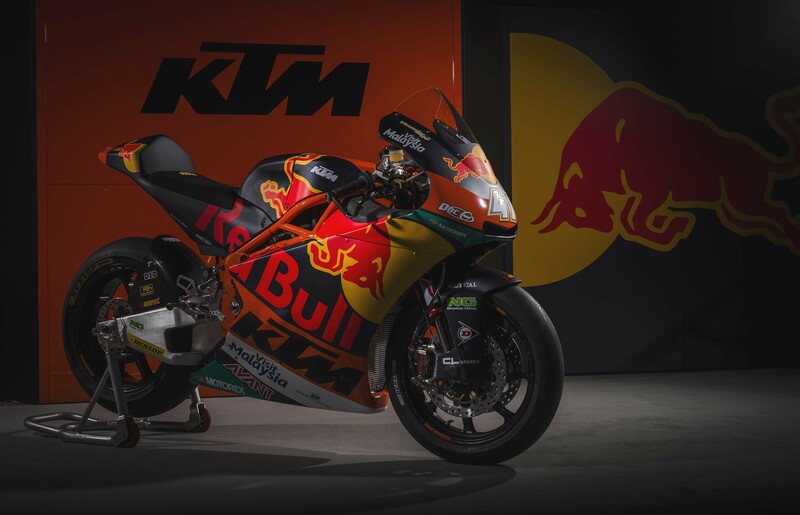 With a Moto2 now in place, KTM has a pathway for GP talent, all the way from Moto3 to Moto2 and into MotoGP. 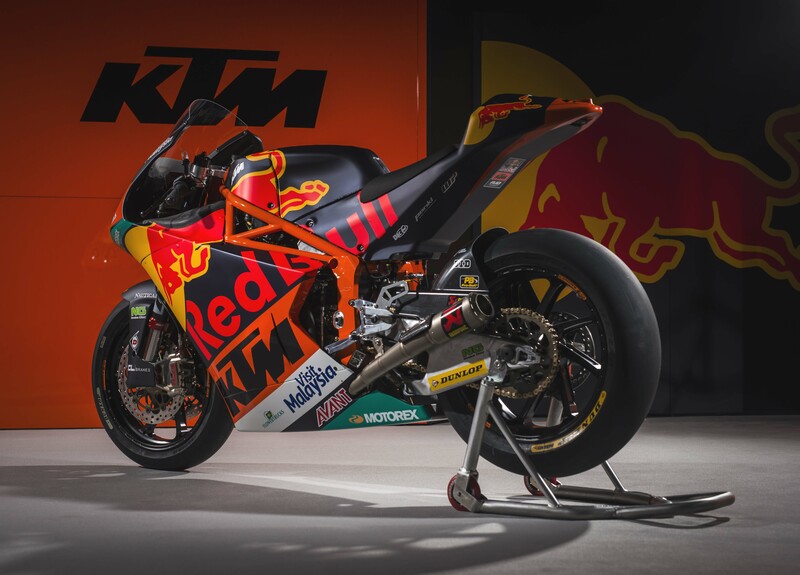 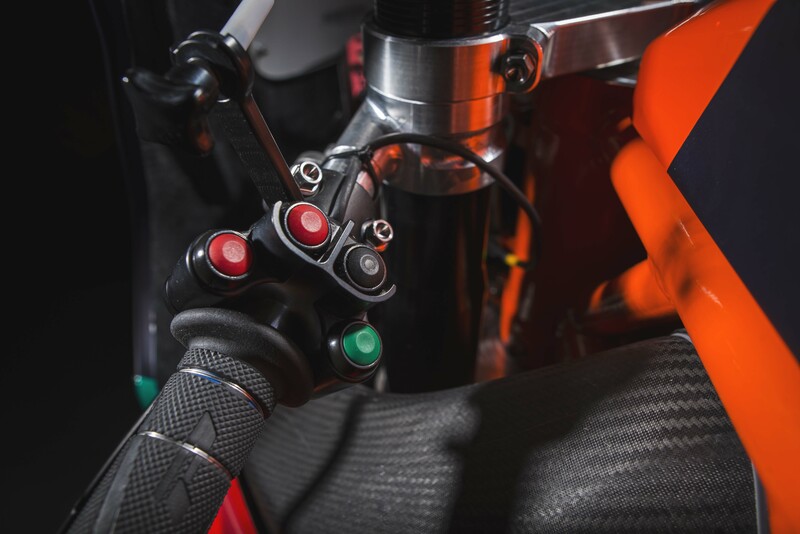 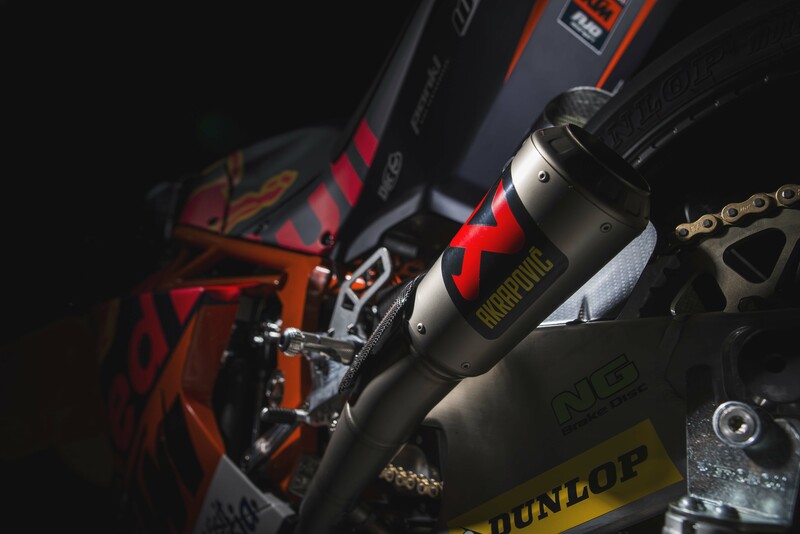 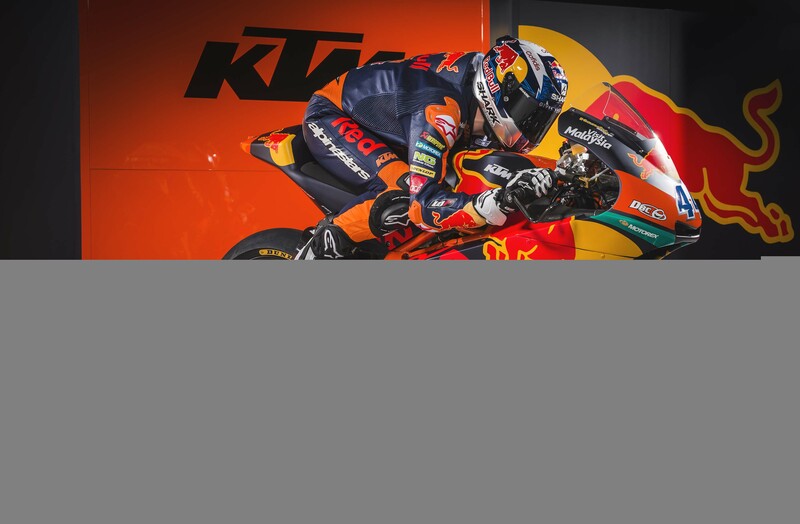 With a strong partnership in place with Red Bull as well, KTM is well-positioned to take on HRC’s racing dominance, and the powerhouse that is Repsol Honda. 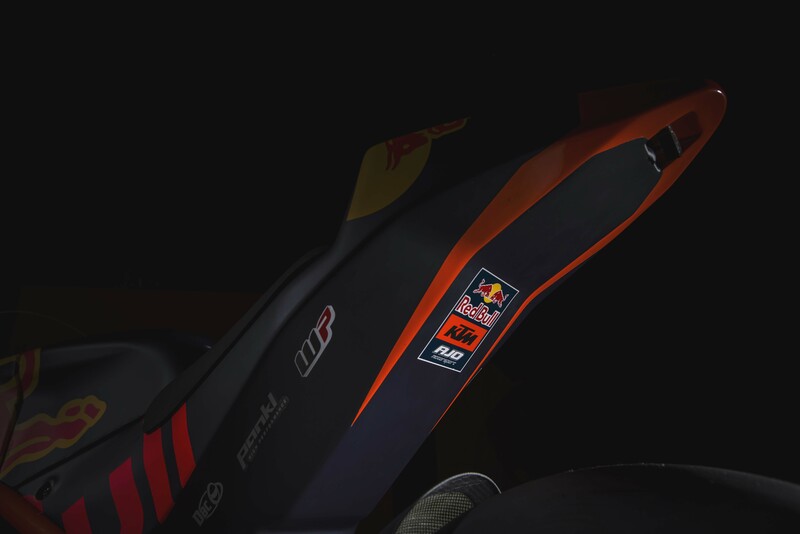 We smell a good rivalry heating up.